In this weekly segment, ExchangeWire sums up key industry updates on ad tech from around the European region – and in this edition: S4 Capital plc Appoints Michel de Rijk as CEO APAC; Zenith’s Programmatic Marketing Forecasts; MightyHive Opens New Office in Stockholm; TimeOne – Mobile Enters Programmatic Audio Market with Trisonic as Exclusive Creative Partner; and Johnston Press acquired by newly formed company JPI Media. 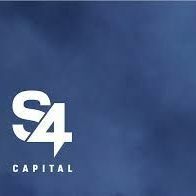 S4 Capital plc (SFOR.L), a new era digital advertising and marketing services company, announced yesterday (22 November) the appointment of industry leader Michel de Rijk as CEO APAC. Starting in early 2019, Michel will be based in Singapore and take operational responsibility for the APAC operations of all S4 Capital-owned businesses across the three key areas of digital content, digital media planning and buying, and first-party data. His key focus will be the expansion of the businesses in the region, organically and by acquisition. 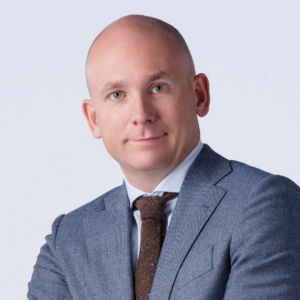 Michel joins from WPP’s media investment management division GroupM, where he led the expansion of the [m]PLATFORM advanced media technology suite as APAC President from 2016 to 2018, before taking on the role of global chief growth officer at Performance Media Group earlier this year. He has extensive experience of building and running disruptive advertising and marketing companies in Asia Pacific, including global programmatic platform Xaxis, where he was managing director, Asia Pacific from 2012 and CEO, Asia Pacific from 2014 to 2017. Prior to joining Xaxis, he was vice president for interactive digital technology provider EyeWonder. S4 Capital’s first move, MediaMonks, operates in the region from its Singapore and Shanghai offices and plans to expand in China, India, Australia, and Japan. Sixty-five percent of all money spent on advertising in digital media in 2019 will be traded programmatically, according to Zenith’s ‘Programmatic Marketing Forecasts’ report, published Monday (19 November). Advertisers will spend USD$84bn (£65.67bn) programmatically next year, up from USD$70bn (£54.73bn) this year, which represents 62% of digital media expenditure. Zenith predicts that in 2020 advertisers will spend USD$98bn (£76.62bn) on programmatic advertising, representing 68% of their expenditure on digital media advertising. By ‘digital media’, the report is referencing all forms of paid-for advertising within online content, including online video and social media, but excluding paid search and classified advertising. The breadth of ad formats available through programmatic trading is improving, with more mobile, video, and audio formats coming online all the time; although brands and agencies need to do more to push publishers to improve the quality of their inventory, which needs – at minimum – to be safe and viewable. Growth in programmatic advertising is slowing, as it cements its position as the most important method of digital trading. 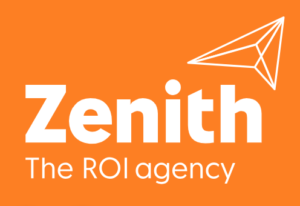 Zenith estimates that programmatic ad spend will grow 24% in 2018, down from 32% growth in 2017, and forecast 19% growth in 2019, followed by 17% growth in 2020. In dollar terms, the biggest programmatic market is the U.S., where USD$40.6bn (£31.74bn) is expected to be spent programmatically in 2018 – 58% of the total. China is in a distant second place, spending USD$7.9bn (£6.18bn) on programmatic advertising this year, followed by the UK, with USD$5.6bn (£4.38bn) of programmatic ad spend. The U.S. is also the market that has most embraced programmatic advertising, trading 83% of all digital media programmatically this year. Canada is in second place, trading 82% of digital media programmatically, followed by the UK, with 76%, and Denmark, with 75%. By 2020, programmatic advertising will account for more than 80% of digital media in all four markets. Canada will have almost completed the transition to pure programmatic trading, spending 99% of digital media programmatically that year. We expect all markets to follow Canada and use programmatic trading for all digital media transactions, eventually. Indeed, it’s only a matter of time before programmatic trading becomes the default method of trading for all media. However, the transition is taking slightly longer than expected – last year Zenith forecast that 64% of digital media would be programmatic in 2018, and 67% would be programmatic in 2019, so they have pulled back both forecasts by two percentage points. The introduction of privacy legislation, such as the EU’s GDPR, has had some chilling effect by making certain data previously used in programmatic transactions unavailable, and making other data more costly to process. But Zenith states that the main reason for the slowdown in spending on programmatic media is due to advertisers investing more in infrastructure and data to make their programmatic activity more effective. 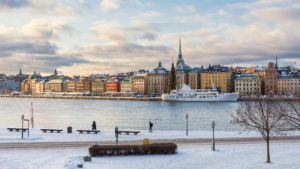 Digital transformation partner MightyHive announced Tuesday (20 November) the opening of a new office in Stockholm, its second European office within a year of opening its first European office in London – with more to follow. The Stockholm location will allow the company to extend the sales and service of its integrated programmatic buying and analytics approach into the region. MightyHive is a global, full-stack Google Marketing Platform Sales partner in Sweden that offers standardised service across all countries. The new office is to support clients in Sweden, Denmark, Norway, and Finland. TimeOne – Mobile, an innovative Mobile Marketing Services Company and part of the TimeOne Group, has entered the programmatic audio market for the first time, partnering with newly established audio agency, Trisonic, to deliver the creative. Driven by the online consumption habits of today’s consumer, and the rise of streaming services, the partnership means that brands and advertisers can build their audio signature and connect with their audience via a full-service digital audio offering, which sees TimeOne – Mobile delivering the programmatic campaign and Trisonic the creative solution. According to the latest RAJAR* Midas survey, 45% of the UK population (25 million people) are listening to audio on connected devices every week. Programmatic audio advertising allows brands to target and segment their audience to deliver their message far more effectively, whilst the immersive format of digital audio ensures that the consumer is already engaged and listening, lending itself to a highly targeted and – with the right creative – effective advertising campaign. Victor Roux, managing director at TimeOne – Mobile, said: “In a saturated media environment, where brands have literally seconds to grab consumers’ attention, TimeOne – Mobile and Trisonic have joined forces to create a full-service solution that delivers standout audio, sophisticated distribution, and a listen-through attribution model for our clients to measure audio branding impact. Matt Hopper, co-founder of Trisonic, adds: “With 25 million people listening to connected audio every single week – a sustained year-on-year increase – Trisonic’s partnership with TimeOne – Mobile could not be timelier. Johnston Press has confirmed that it has been acquired by newly formed company JPI Media. Johnston Press put itself up for sale last month and made plans to file for administration on 16 November. It was confirmed on 17 November that the business had been sold to JPI Media, where Johnston Press chief executive David King is now CEO. Johnston Press owns brands such as The i paper, The Scotsman and The Yorkshire Post.